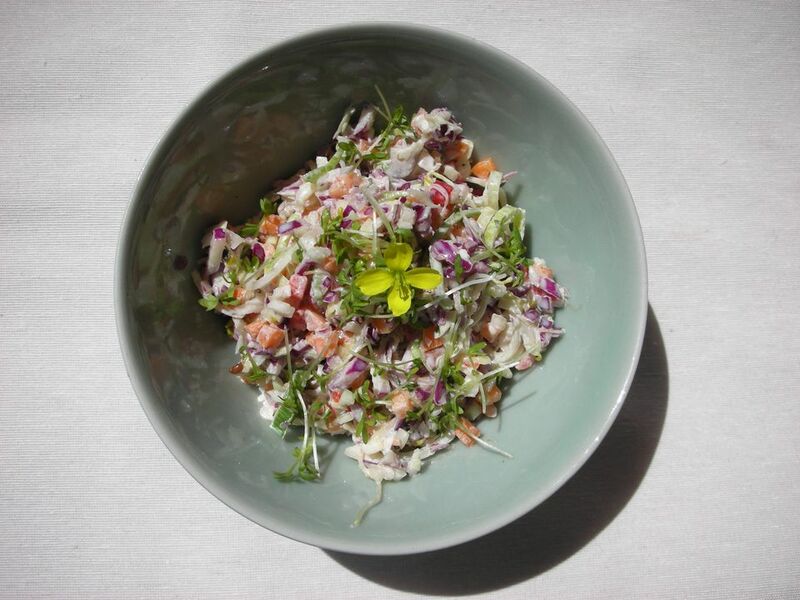 Did you know that coleslaw is named after the Dutch words kool (cabbage) and sla (salad)? Yes, this American barbeque favorite is actually Dutch! Coleslaw is one of those dishes that has suffered terrible abuse over the years, especially at the hands of some fast food companies, but a proper homemade coleslaw is hard to beat. It’s full of vegetable goodness and as long as you don’t drown it in too much mayonnaise it is rather healthy too. Mix the mayonnaise, mustard and vinegar together for the dressing. Now place the remaining ingredients in a large bowl, add the dressing and toss until everything is just covered. Clearly, this is a cinch to make if you have a food processor. We sometimes cheat and buy a pack of pre-sliced and -diced veggies at the supermarket, to which we add the dressing, cress and a few other ingredients. Variation: add diced apples and chopped walnuts. Sweeten the Festive Season With 10 Traditional Dutch Treats. These tiny gingerbread-style cookies make terrific stocking stuffers.